Fletcher Denali’s entire life is based on a lie. Namely, that his name is not Fletcher Denali. Hidden in plain sight, Fletcher must live his life with the weight of his secret past on his shoulders. When he meets Vaida, the quiet girl with dark eyes, he can’t help but be intrigued. But Vaida has secrets too. Secrets that could destroy all that Fletcher has worked to protect himself from. Vaida Williams has to remain unnoticed. The wrong person seeing her could cost her her life. So, when Fletcher, the handsome man who won’t seem to take no for an answer, develops a sudden interest in her, Vaida begins to fear she may have to run...again. Fletcher has questions Vaida can’t answer. But, if Vaida opens up...Fletcher may be the one person who could help her. ​The only problem? Trust is something she buried long ago. And she has no intention of allowing it to resurface. 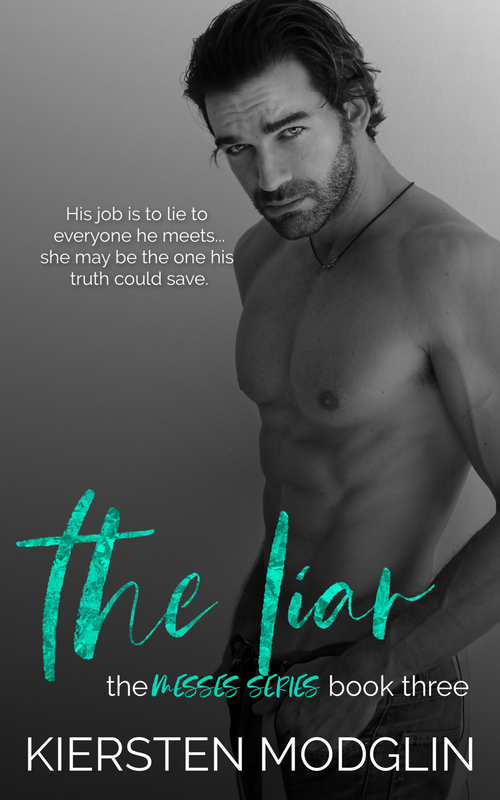 Add The Liar to your TBR today!